Pratana Coffee Talk: IS YOUR BLOOD PRESSURE TOO HIGH? If you have been worried about high blood pressure, you may be able to relax a bit. 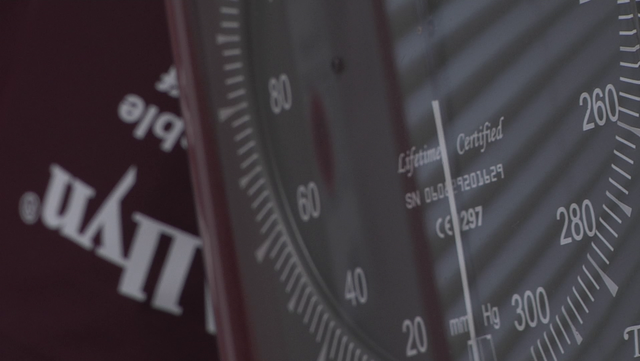 New guidelines were released Wednesday that suggest that people over 60 can have a higher blood pressure than previously thought. High blood pressure is not something to be taken lightly. It is often referred to as the 'silent killer' because many times there are little or no symptoms and it can cause heart attack, stroke, and kidney failure. One in three Americans has high blood pressure. In the past, patients were given medication if their blood pressure exceeded 140/90. But now, for patients 60 years or older, the new guidelines say their blood pressure can reach up to 150/90 without treatment. But, local family physician, Dr. Hope Short, says this new guideline is not for everyone. "You can't just take that information and apply it across the board to all patients," Dr. Short said. Short said especially for people who have other health issues, the numbers are going to vary from person to person. "A diabetic for example," Dr. Short said. "We shoot for 130/80 so this would not apply to someone with a comorbidity such as heart disease or someone that's had congestive heart failure." But, for those who do fall into this category, getting off the medication could be a plus. Many blood pressure medications have side effects including dizziness, dry mouth, fainting and falls. Dr. Short says if she could advise just one thing, it would be to ask your doctor before making any decisions on what is best for you. "Take any concerns you have to your doctor," Dr. Short said. "Please don't just stop your medicine without discussing it."